The International Wine and Spirit Competition” (IWSC) in London also honoured VEGEFEUER with an award. It is the world’s leading competition of its kind with roundabout 5.000 entries from over 80 countries. At first Anton Massel founded the ”International Wine and Spirit Competition” (IWSC) as ‘Club Oenologique’. Its present name received the competition in 1978. It aims to encourage quality and excellence of the best wines, spirits and liqueurs all over the world. The founder’s idea of creating a wine and spirit competition which was based not just on organoleptic judgement but where all entries also had to undergo chemical analysis is still today the base of a rigorous two-stage process. Currently over 400 global experts are judging roundabout 5.000 products from over 80 countries. Many jurors are “Master of Wine“, winemakers or Master distillers, or professionals of the trade. All jury members are handpicked and selected on the basis of expertise and experience. The IWSC owns storage facilities, a permanent onsite tempered cellar for more than 25.000 bottles, a fully equipped, independent laboratory for technical analysis and three tasting rooms. 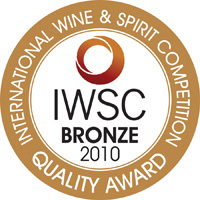 The IWSC is the benchmark of international spirit competitions. “Due to its international reputation, this award is worth gold for VEGEFEUER”, admitsThorsten Wolf considering the top-class jury, the extensive assessment procedures and the impressive range of international participants.